2 images. 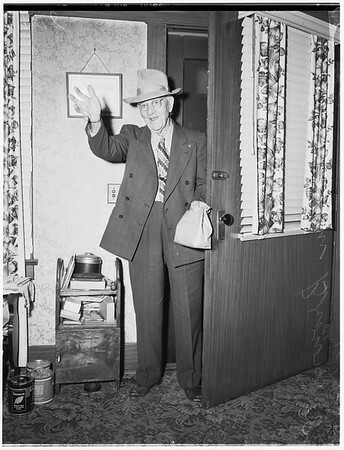 98-year old worker, 30 January 1952. John Allen Brown -- 98 years (divorced from his wife Isabele who is 73 years).